Regardless of where you're from in the world, Bali is one of those places that just conjures up images of tropical paradise. It's a pretty popular destination and anyone who's familiar with this Indonesian island will be quick to point out that there's no way you can see all of the sights in a short space of time. With that in mind, we've rounded up 11 things you need to see and do when you're in Bali whether its your first or fourteenth time. Essentially, if you haven't been to these places below, you need to arrange a visit esta pronto! 1.) 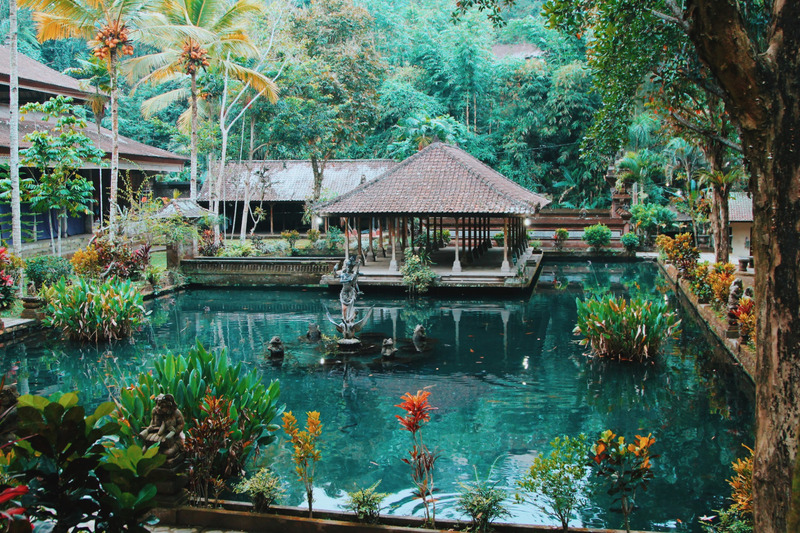 Ujung Water Palace Located in eastern Bali, this water palace is a beautiful complex of pools, fountains, delightful wildlife (plant and animals), and a lot of Balinese buildings and structures that's bound to impress even the most unimpressionable of travellers. 2.) Pura Tirta Empul Due to a sacred spring running through this temple, Pura Tirta Empul is and important Hindu Balinese temple and is a place locals and visitors can come to for a spiritual cleansing experience. 3.) Pura Tanah Lot Seton an island-like rock formation, Pura Tanah Lot is one of Bali's most important (and most popular temples), with throngs of travellers visiting everyday. 5.) Mount Batur When planning a visit to Indonesia's most active volcano, there is no better time to go than at sunrise or sunset. 8.) Ubud Monkey Forest At the end of a short walk through an easily navigable forest (in the village of Patdangtegal) lies the Ubud Monkey Forest. 9.) Uluwatu Temple Perched atop a seaside cliff, this Hindu temple is a fascinating work of architecture. 10.) Goa Gajah - Elephant Cave Not too far from the town of Despensar, lies Goa Gajah, also known as Elephant Cave Temple, one of the most important Buddhist sights to see in Bali. 11.) Seminyak The city of Seminyak is a must-see when in Bali. With legendarily gorgeous sunsets over pristine waters and sandy beaches, the atmosphere of this beachfront city is enough to satisfy the beach-lover in anyone.